Despite repeated attempts to debunk the false idea that tones aren’t important in Chinese (see my own contribution here), there are still people out there who believe that tones aren’t that important when you speak Chinese and that native speakers don’t really care about tones anyway. The graph below shows what this statement means. The more predictable a statement is, the less important tones become. Therefore, if the listener can be very sure what you’re going to say before you say it, tones aren’t important for successful communication. However, as soon as you start talking about things that aren’t obvious, tones become very important indeed. Perhaps I have a slightly negative picture of people who say that tones aren’t important and think that they are more likely than the rest of us to order beer. That’s not to say that it’s wrong to order beer in China, it just serves as a very good example here. No matter how bad your tones are and what other mistakes you make, the bartender is likely to understand what you say (just say something vaguely similar to 啤酒 and you’ll be okay). Let’s reverse this example. If you work in a bar and a foreigner comes in and asks for something which sounds like “doo bir”, I’m quite sure you will understand what he wants. 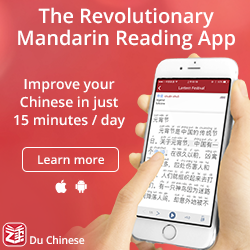 I’ve heard the second example from at least two people (they were both relatively new students of Chinese and hadn’t mastered tones very well). The scenario: They want to order a taxi to go to a friend’s home. When they tell the driver the name of the place they want to go to, he just shakes his head, confused. After a dozen tries, they give up and finally manage to find a written reference to the address. The driver immediately lights up and pronounces the name of the street, which sounds identical to what the foreigners just said. Only with different tones. To a Westerner, this might be frustrating. Can’t the driver guess what they want to say? The only thing that was wrong was some of the tones! The answer is that no, he couldn’t, because tones are very important indeed (as important as vowels, according to some studies) when it comes to determining the meaning of an utterance. The driver had no way of predicting what they were going to say (there might be hundreds or thousands of possible addresses) and therefore, the message was lost because of bad tones. If they would have asked to go to the main train station or the airport, the situation would have been different and they would have gotten there regardless of tones. Of all realistic situations we might find ourselves in, saying the name of an unknown, obscure place in a big city might come close to being the least predictable case of all (possibly along with names of people), but most conversations don’t really take place in this realm, because there is context to help the listener understand. On the other hand, most conversations aren’t like ordering beer either. If you only say things that the listener can guess before you say it, what’s the purpose of having the conversation in the first place? In general, I think that the importance of tones increases in proportion with the complexity of what you’re saying. 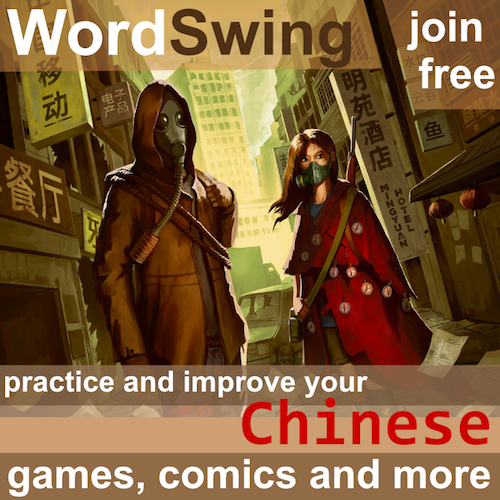 In particular, the number of words you use when you speak Chinese has an impact on how important tones are. If you only know 2000 words and have spoken with the same person for a while, the guess-what-the-foreigner-is-saying game becomes quite easy, because there are limits to what you can say. However, if you know 20 000 words, it becomes much harder. The importance of tones also increases in proportion with the complexity of the message. If it requires mental effort to understand what you’re saying even if it would have been said perfectly by a native speaker, do you really want people to spend most of their energy trying to figure out what words you’re using? No, that’s not what we want. Instead, we want to limit as much as possible the distorting effect our pronunciation has on the message. I suppose this was just another way of saying that tones are important and a rather long-winded way at that. Don’t overlook tones. Don’t think you’ve mastered tones after studying for a semester or two, you most likely haven’t. I have argued against perfectionism many times (When perfectionism becomes an obstacle to progress), but this is an exception. You don’t want to stop improving just because your teacher understands what you’re saying. She’s used to hearing foreigners speak Chinese, she knows roughly what you’re going to say. When you leave class and join the real world, bad tones will cause you loads of trouble. If you learn them properly from the start, this problem doesn’t necessarily go away entirely, but it is at least alleviated! In essence, it just means that you can’t say “people I talk with understand what I say, therefore my tones and pronunciation are correct”. Communication is a about a lot more than just tones and it’s obvious that it’s possible to communicate without them in some situations. That doesn’t mean that they are unimportant or that you should spend less time practising (regardless of your current level). My favourite way of analysing tone problems is with the simple guessing game I have described in this article, why don’t you try it out next time you have a native speaker around? This is just a theory. I can back it up with experience and reasoning as I have done in this article, but I can’t prove that what I say is correct. What do you think? Why is it that some people maintain that tones aren’t that important? If you’re one of those people, what’s your counter-argument to what I’ve said here? Please leave a comment below! I agree with all this completely. The analogy I use is that hearing the wrong tone is like hearing the wrong vowel sound- which as in English would be understandable in a simple and predictable situation, but would fail otherwise. Spoken Mandarin has fewer possible syllables and relatively shorter words, so has a high degree of ambiguity when compared to English and other European languages. Both of these factors mean that context is more important anyway- 1 or 2 perfectly spoken mandarin words in isolation are difficult to work out anyway. Take away the tones, and the search space for the listener has increased to perhaps dozens or hundreds of possibilities for each syllable. Pinyin input systems do pretty well at understanding which characters you intend in long sentences, but cannot guess if you only type 1 or 2 characters with no other context. I live the consiseness of the title here. It describes perfectly how I feel about the importance of tones (and pronounciation and grammar as well!) in languages. No, I don’t, but perhaps I should. 🙂 Yes, it’s true that what I say can be extended to anything, not just tones. I just feel that tones are particularly interesting in Chinese because it’s so easy to overlook their importance coming from a non-tonal language. I mean, we all (most of us at least) know that tones are important, but do we really feel it? There’s a difference between knowing it intellectually and actually feeling that it’s true. 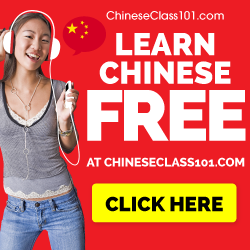 When I initially began studying Chinese in Taiwan a few months ago I was very frustrated by tones, because I did not understand their importance to the native’s ear and because of the extra work they required. Hearing and speaking tones are not something you learn like vocabulary or sentence structure. It is more akin to acquiring a skill and there is a lot of embarrassment and correction in obtaining this skill. To be honest, I was put off by tones because of laziness and a desire to advance more quickly. I have abandoned the naive idea of becoming fluent in a short period of time and have decided to let it take as long as it takes while enjoying the process. With that unnecessary pressure gone I feel free to give tones as much attention as they need. As long as it makes people think that tones are important, I’m happy! Sure, context might not always give native speakers enough information to guess what someone is trying to say, but it does help. I just don’t want people to imagine that just because someone understands what they’re saying it automatically follows that tones and pronunciation is correct. Context can make up for sloppy pronunciation, but of course not all the time! After 3,5 years of studying and several stays in China, I can nothing but approve your article. I can’t add anything, because I’ve experienced the same. Ppl with wrong tones are understood either because the other part can predict what he’s saying or/and because they’re used to speak with foreigners. Oh, wait. I think of something which makes it even harder to realize what someone is saying is wrong: overdosed praising! I know that the intention is a good one, being friendly to guests etc. I don’t wanna value that Chinese behaviour. But I want to stress that a person who isn’t enough self-aware of his abilities or even can’t here himself while he’s speaking (in order to compare that sound to another)could’t that way think his Chinese is flawless. Yeah, praise is perhaps even a bigger problem. In fact, I have already addressed that in an article (Advancing in spite of praise). The crux is that the problem becomes more and more severe the better you get. Just because someone has never heard a foreigner speak so good doesn’t mean it’s good at all. Great article and definitely true! Street names can be tricky if they use a word not often used. Sometimes, I have to point a driver in the right direction with landmarks before he gets my meaning. This really does illustrate the prediction and ‘in context’ understanding. I feel safer rambling off a well used sentence but lose confidence if and when I am only required to give a one word answer. It’s much easier to bury wrong tones in predicted sentence structure. My favorite scenario is when an easily predictable conversation takes place between myself and a waitress in some small village restaurant and said worker gets totally thrown by hearing a foreigner speak Chinese. That seizure of thought process can throw ’em for a whack. She’s got it in her mind no matter what that foreigners can’t speak so she can’t connect the dots that we are talking to each other. On another note, even smaller children will automatically assume that you can understand, just like mommy and daddy. Yes,tones are significantly vital in every Chinese dialect.it is so naturally a intergral part of the Chinese language that it is acquired without any conscisousness. The tones are in the same way to convey the very meaning of one word with the vowels. When a tone-adapted ear hear a sound with incorrcect tones,it can’t tell the accurate meaning unless the context can clearly speak itself. the vowels accompanied with repective tones to tell and distinguish a specific meaning makes Chinese faster to spread out and be well received by a hearer. 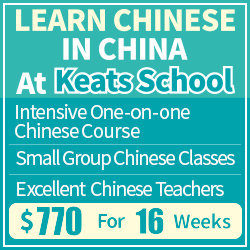 I am learning chinese in Lesotho, Southern Africa and the one thing my instructors always put emphasis on is tones. At times you’d find that in class, we all use the same vocabulary but fail to understand each other because of tones. What makes things difficult here is the most chinese here are business people who aren’t really willing to speak chinese to any mosotho. How does one improve their listening skill towards differentiating tones? By listening a lot to tones and focusing on them. Preferably, you should listen to different people, so don’t use only your textbook. If you use Anki or such programs, you can add audio to the vocabulary. Quantity is quite important. Know the difference between the tones in theory, then listen to as many different practical examples as possible. That should gradually allow you to hear the difference. Thank you. I will sure follow your advice. It should be noted that not only context helps, but also how many syllables the word has an how many close homophones there are. If you say “malaixiya” or “kafei” in any alien tone you will still be understood simply because there is no other “kafei” than the coffee “kafei” itself and the Malaysian country. To show how tones are important to my students, I always use the “wo mai huar” example, in which you may mean “I buy flowers”, “I sell flowers”, “I buy pictures” and “I sell pictures”.